What is Homebot for Buyers? The new Buyers product helps convert your renters, investors, and new leads into buyers by showing them insightful information regarding purchasing a home in their favorite markets. How do I add Buyers? Make sure you're logged into your account (www.homebotapp.com). Once logged in, click on the Buyers tab in the top navigation bar. Click the ADD NEW button and fill out the form. 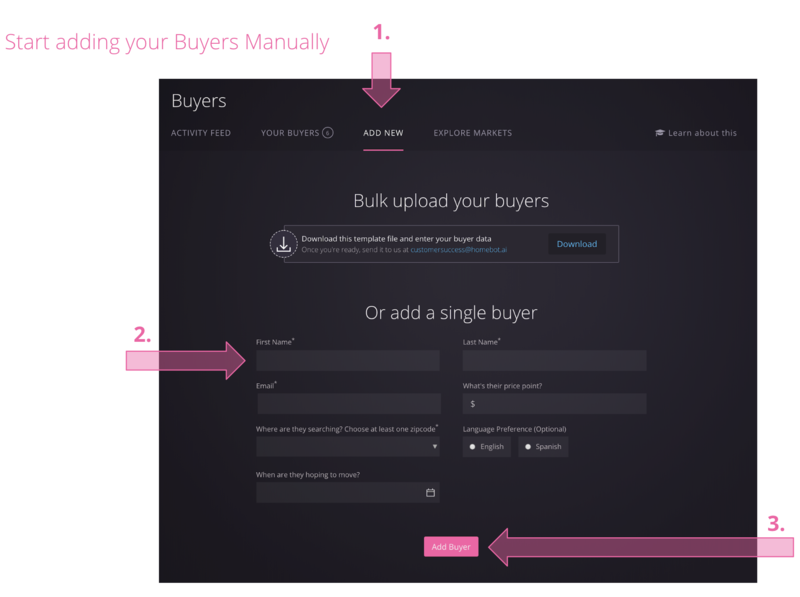 Once complete, click Add Buyer. 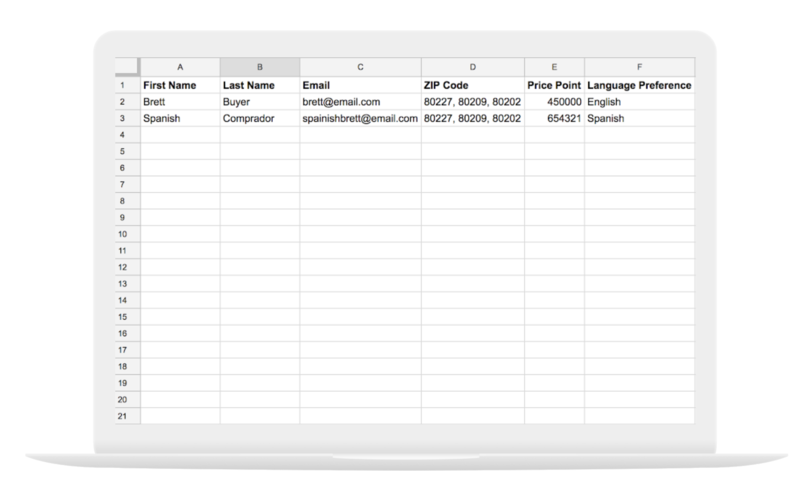 You can also bulk-import your potential buyers via spreadsheet. Click Download to receive the template file to fill out. Once complete, send your spreadsheet to data@homebot.ai.